Javier Alexis Guerra...originally signed by Red Sox scout Cristobal Garibaldo. Javy Guerra (pronounced HA-vee GEHR-uh) spent the majority of the season with El Paso (AAA) while making his ML debut with SD, playing in eight games (five starts at SS)...Led ELP with a career-high nine triples and ranked second on the club in games played (122), at-bats (430), fourth in hits (96) and tied for fifth in runs scored (42)...also hit .223 (96-for-430) with 18 doubles, 13 HR and 55 RBI, and his 166 strikeouts were third-most in the Pacific Coast League...Collected his second-career multi-triple game on 4/14 vs. Las Vegas...Recalled by SD as the 26th man allowed in an international series on 5/4 in Monterrey, Mexico vs. LAD for his first big-league callup…made two PH appearances during the series, becoming the first Padre in club history to debut internationally (not including Canada) and the first ML player to do so since ARI's Bo Schultz in 2014 vs. LAD in Australia...Returned to ELP on 5/7, where he played for the remainder of the season before being recalled by SD on 9/11...Recorded a minor league career-high-tying four hits twice (7/27 at Oklahoma City and 8/22 vs. Albuquerque)... Started all five postseason games at shortstop for ELP, going 2-for-16 (.105) at the dish...Recorded his first ML hit on 9/15 vs. TEX, a single off RHP Ariel Jurado...Scored his first ML run on 9/28 vs. ARI and collected his first RBI on 9/29 vs. ARI...Following the season, was named Caribbean Series MVP for Panama, helping lead Panama to their first Caribbean title since 1950...Panama had not played in the Series since 1960...slashed .389/.389./.722 across five games with three doubles, a HR and three RBI. Split the season between Lake Elsinore (A) and San Antonio (AA), hitting a combined .222 (107-for-481) with 24 doubles, five triples, nine home runs, 53 RBI and 56 runs scored in a career-high 128 games... Did not record his first multi-hit game of the season until his 21st game on 4/29 and hit just .171 (14-for-82) in April... Hit safely in 20 of his 27 games in May with a .257 (28-for-109) average...closed the month on an eight-game hitting streak from 5/23-31 with four multi-hit efforts and 10 RBI over the stretch... Hit .211 (20-for-95) in June but hit safely in a season-high nine consecutive games from 6/18-29, hitting .371 (13-for-25) over that stretch... Promoted to San Antonio on 7/19 and hit .212 (28-for-132) with six doubles, three home runs, 15 RBI and 18 runs scored in 39 games with the Missions... Recorded a career-high-tying four hits (5x) on 8/29 at Midland... Hit safely in three of his four postseason games for the Missions at a .267 (4-for-15) clip with a double, a triple, two RBI, two runs scored and two stolen bases... Tabbed as having the best infield arm in the Padres organization by Baseball America after the season... Played for the Peoria Javelinas of the Arizona Fall League following the season and hit .261 (12-for-46) with a double, triple, home run and seven runs scored in 12 games. Played the entire season with Single-A Lake Elsinore, hitting .202 (79-for-391) in 105 games with 41 RBI and 49 runs scored...Landed on the disabled list on 8/10 and missed the remainder of the season...Ranked by Baseball America as the 87th-best prospect in all of baseball in their midseason ranking update in July. 5 de abril de 2019 Lake Elsinore Storm ponen a SS Javy Guerra en la lista de inactivos temporalmente. 1 de abril de 2019 SS Javy Guerra asignado a Lake Elsinore Storm de El Paso Chihuahuas. 22 de marzo de 2019 San Diego Padres opcionado SS Javy Guerra para El Paso Chihuahuas. 11 de septiembre de 2018 San Diego Padres llamado SS Javy Guerra de El Paso Chihuahuas. 7 de mayo de 2018 San Diego Padres opcionado SS Javy Guerra para El Paso Chihuahuas. 4 de mayo de 2018 San Diego Padres llamado Javy Guerra de El Paso Chihuahuas. 25 de marzo de 2018 SS Javy Guerra asignado a El Paso Chihuahuas. 9 de marzo de 2018 San Diego Padres opcionado Javy Guerra para El Paso Chihuahuas. 2 de octubre de 2017 San Diego Padres llamado Javy Guerra de San Antonio Missions. 19 de julio de 2017 SS Javier Guerra asignado a San Antonio Missions de Lake Elsinore Storm. 31 de marzo de 2017 SS Javier Guerra asignado a Lake Elsinore Storm. 28 de marzo de 2017 SS Javier Guerra asignado a Lake Elsinore Storm. 13 de marzo de 2017 San Diego Padres opcionado SS Javier Guerra para San Antonio Missions. 18 de noviembre de 2016 San Diego Padres seleccionado el contrato de Javier Guerra de Lake Elsinore Storm. 30 de septiembre de 2016 Lake Elsinore Storm activan a SS Javier Guerra de la 7-d&iacute;a lista de deshabilitado. 12 de agosto de 2016 Lake Elsinore Storm ponen a SS Javier Guerra on the 7-d&iacute;a lista de deshabilitado. 4 de abril de 2016 SS Javier Guerra asignado a Lake Elsinore Storm de El Paso Chihuahuas. 31 de marzo de 2016 SS Javier Guerra asignado a El Paso Chihuahuas de Fort Wayne TinCaps. 30 de marzo de 2016 SS Javier Guerra asignado a San Diego Padres. 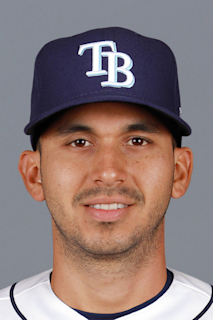 16 de noviembre de 2015 SS Javier Guerra asignado a Fort Wayne TinCaps. 7 de abril de 2015 SS Javier Guerra asignado a Greenville Drive de GCL Red Sox. 1 de abril de 2015 Javier Guerra asignado a Boston Red Sox. 13 de abril de 2014 SS Javier Guerra asignado a GCL Red Sox de DSL Red Sox. 1 de junio de 2013 SS Javier Guerra asignado a DSL Red Sox. 2 de julio de 2012 Boston Red Sox agente libre firmado SS Javier Guerra con un contrato de la ligas menores.